When the storm ends, there’s a calm in the air that shows you everything is going to be all right. But nothing may ever be right again. 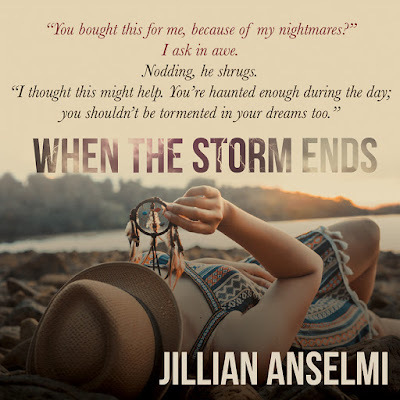 Delani Delvecchio has weathered storm after storm throughout her life, but this one may have the potential to break her. 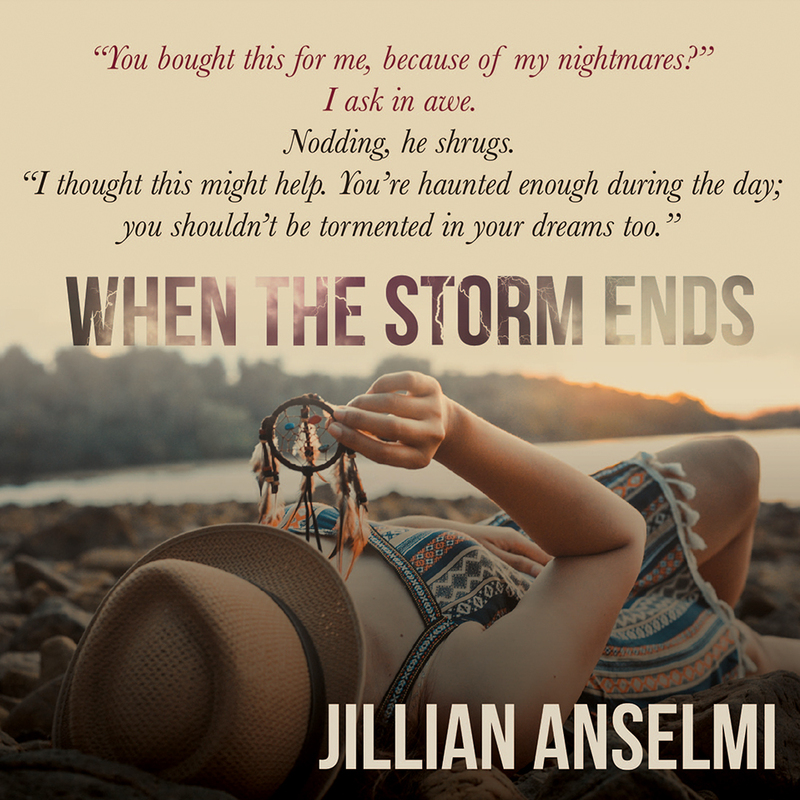 After what is supposed to be an anniversary celebration with her friends and boyfriend, Delani gets pulled into her own personal hell. Delani fights and makes it out, only to realize she’s not safe at home—she’s no longer safe in New York at all. With an untraceable phone, clothes that aren’t her own, and enough money to get her by, she gets on a train and heads to the last place she felt she would be looked for. What she didn’t expect to find when she got there was him. 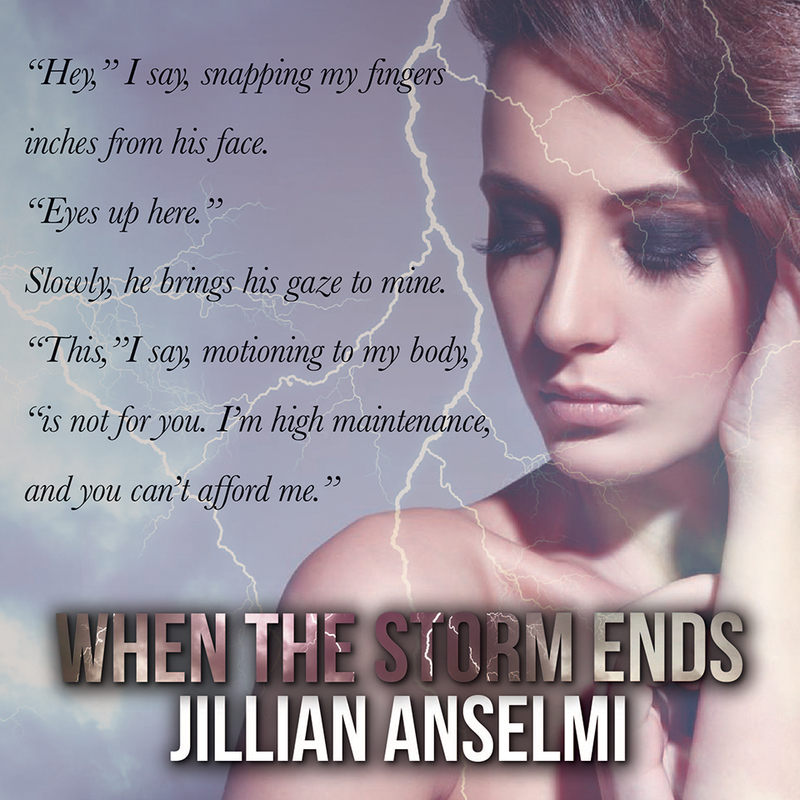 Brody Russell, small town cop, quickly becomes the calm during Delani’s storm. His presence makes her forget and his southern charm works its way into her heart. 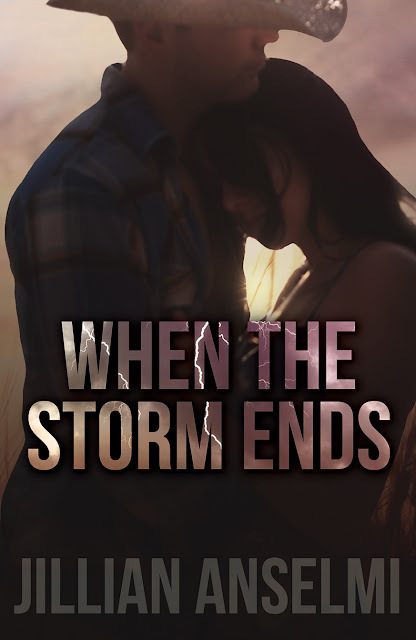 Brody promises to protect her, to be right by her side when the storm ends. But what if this storm is only the beginning? This is my first time reading anything by this author. I always commend a author who takes a really hard subject and takes you on their emotional journey through everything which is what this author did. 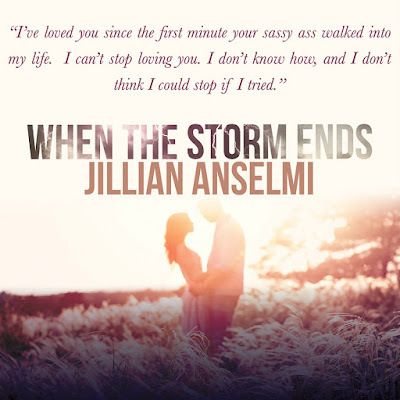 Delani endures so much but yet is such a strong character and when she meets Brody (though i wont tell you how as I don't want to give the story away) i was really rooting for them. Brody lightened up this read and once you get his personality hes a easy character to fall in love with. 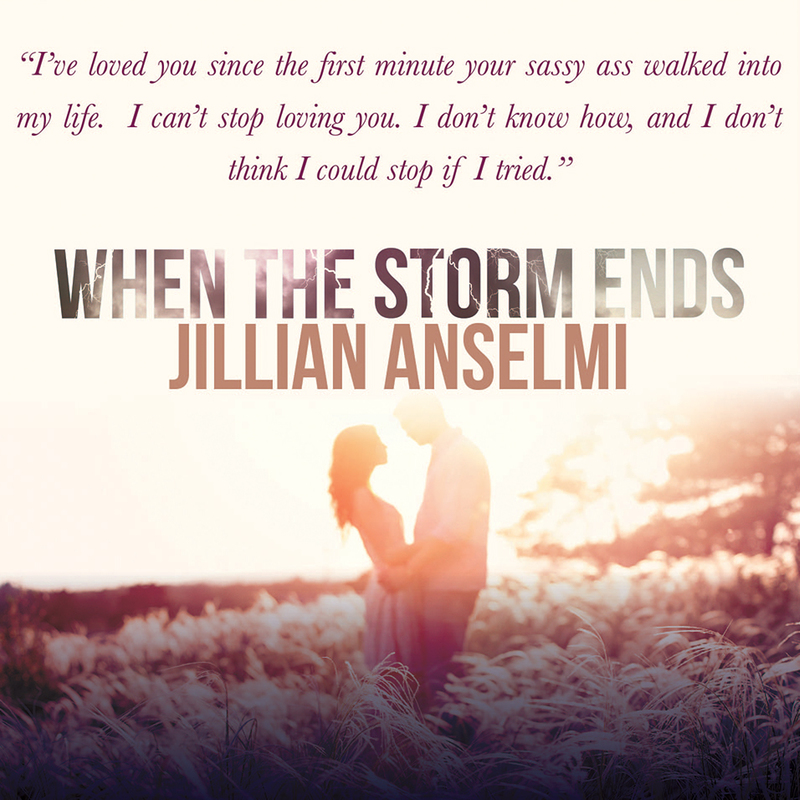 Jillian Anselmi resides on Long Island, (not in Long Island), with her husband and teenage daughter. She studied pharmacy, but decided it wasn't the right fit for her and instead pursued a degree in chemistry. After receiving her masters in education she pursued a career in teaching, but there was always something missing. As a young girl she read an incredible amount of books, reading over a hundred during the summer of her third grade year. After that she would write poetry or dabble in short stories. Now, she writes romantic fiction, with some small amount of truth hiding behind her words. If you want to make her happy, surprise her with dark chocolate, a Starbucks Caramel Macchiato, or a good Sauvignon Blanc.